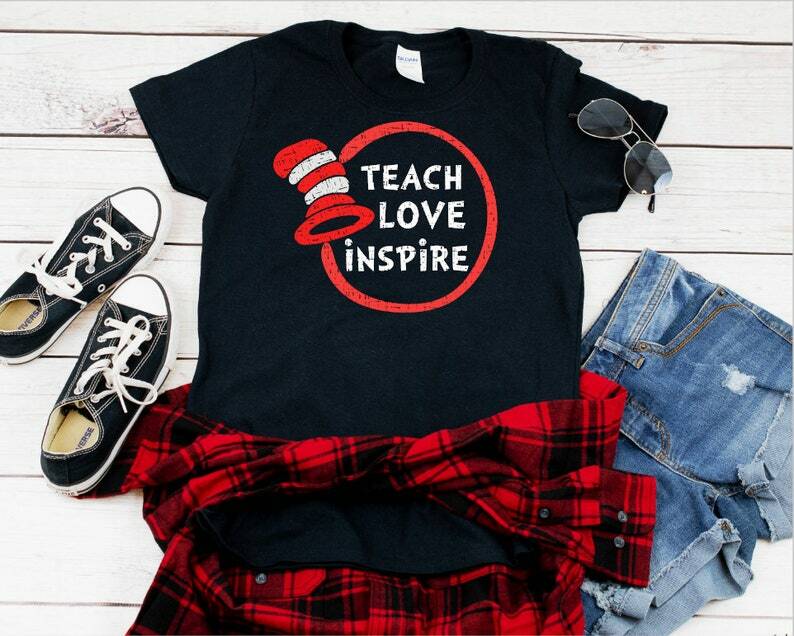 Seuss Inspired, Teacher Shirt, Fun Teacher Shirt, Teacher Appreciation. Please see the chart above for correct sizes. First picture is Unisex Sizing (Small to 5XL). Shirts are made with a commercial heat press to ensure quality. The Lucky Butterfly is owned by a Special Education Teacher in North Carolina. Thanks for your support.